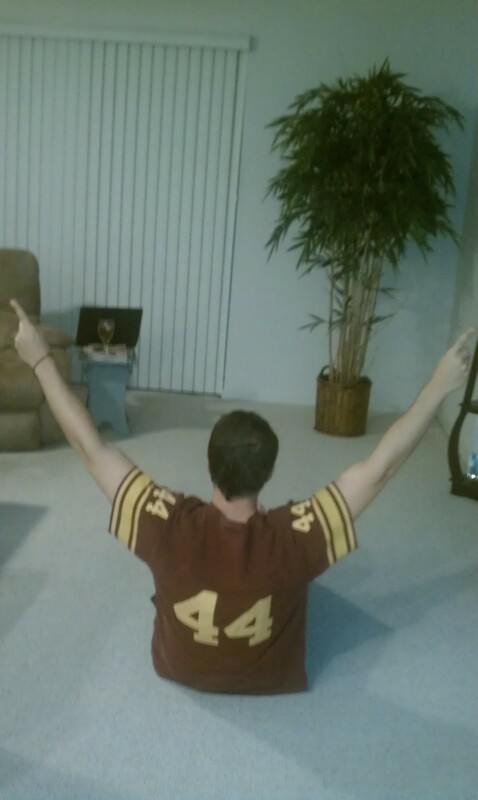 Not sure if the Sheik is a Redskins fan or if he just had a bet on them minus the points? Either way, it seems as though he wants to put Josh Morgan in the camel clutch. Here’s 10 of my thoughts 24 hours after the Redskins 40-32 win over the Saints. What more can be said about Bob, aka RGIII? I thought if he came out and kept his turnovers around 2 and had 250 total yards it would be a success. Instead, he had what may have been the greatest debut in NFL history. I know I’m writing this 1 game into the season on a day that is known as “overreaction Monday”…but man, could I get use to a decade of RG3. After truly never having a franchise QB in nearly 30 years, I think DC is deserving. My favorite RG3 play wasn’t the long TD to Pierre Garcon or the across the field throw to Fred Davis. My favorite play was an incomplete pass. On 4th down Griffin avoided the temptation to run or throw the ball away and instead chucked it over 40 yards downfield to a well-covered Aldrick Robinson. The worst case scenario here is an interception, which is as good as punt. The other scenarios are TD pass or what actually happened, pass interference and 1st and goal. That’s a veteran type play right there. London Fletcher is amazing. Un-drafted, 5’10” tall and in his 15th season, he’s running step for step in pass coverage all game covering Jimmy Graham…who’s 9 inches taller and 12 years younger. Ryan Kerrigan will be a Pro Bowler this year. I broke out a shirt for this game that I haven’t worn in a decade and is 16 years old. It’s now my lucky shirt…a one of a kind “Riggins” jersey shirt that is actually just an American Eagle shirt that was available in the mid 90’s. I now realize that I’ve had this shirt since RG3 was just 6 years old and that I’m OLD! 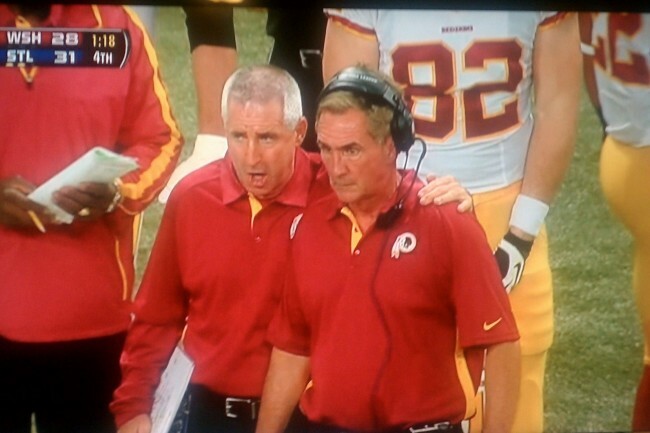 I was amazed/impressed/happy to see Mike Shanahan and Kyle Shanahan change their offense to suit RG3’s strengths. I once thought that Shanny was too stubborn to do such a thing. The Redskins biggest addition on defense is Raheem Morris. 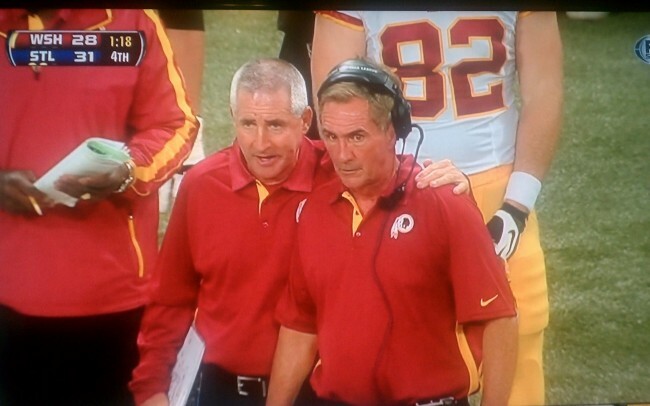 Again, the Redskins incorporated his ideas and methods into the defensive game plan and it made a huge difference. Last year only 51% of the Redskins completed passes went to WR’s, yesterday that number was 68%. That makes a huge difference in the big play making ability of this offense. The Redskins have started well several times over the last few seasons, only to lose games they should’ve won against teams like the Rams and Lions. This weeks game is a game the Redskins should and must win. This will be the first test to determine if this team truly is different.